← Why Do Rivers Bend? 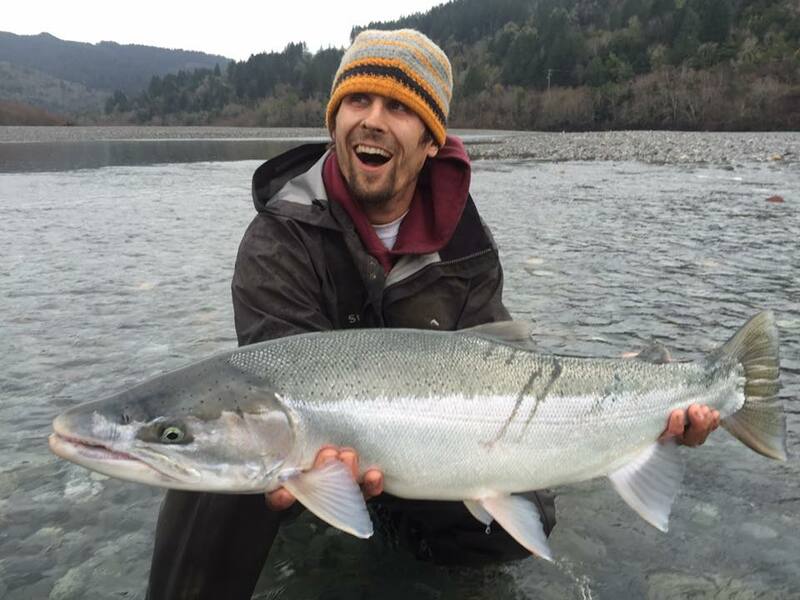 If April showers bring May flowers then December storms bring sea-run steelhead home! 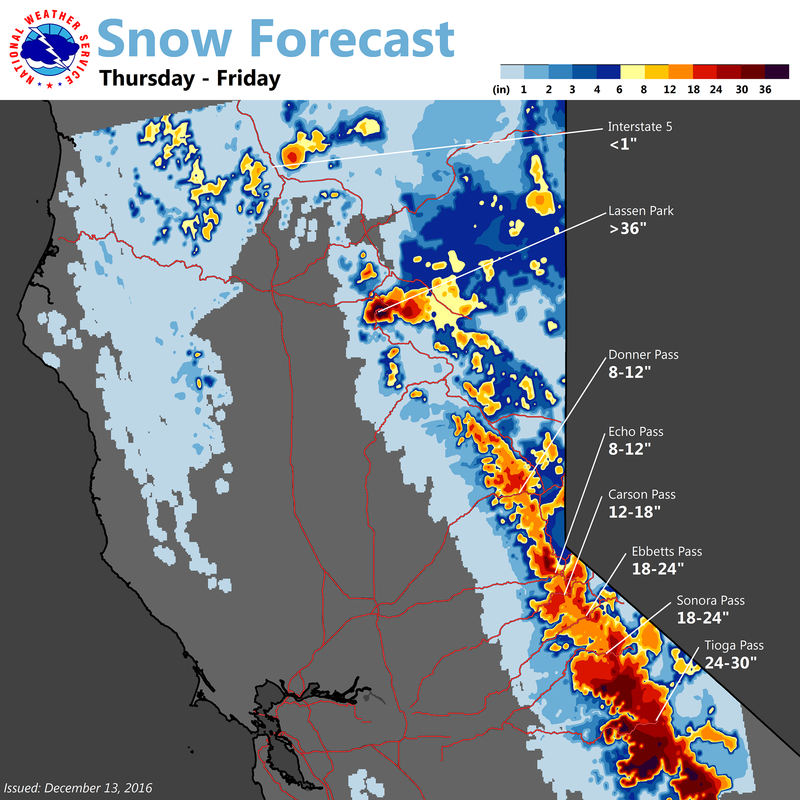 Currently a heavy “pineapple express” weather system is lowering its crosshairs into Northern California and bringing heavy precipitation and deep snow over the upper elevations. Look for high and off color conditions in most of the rivers also with some roadways being closed or with major delays throughout and after the system. 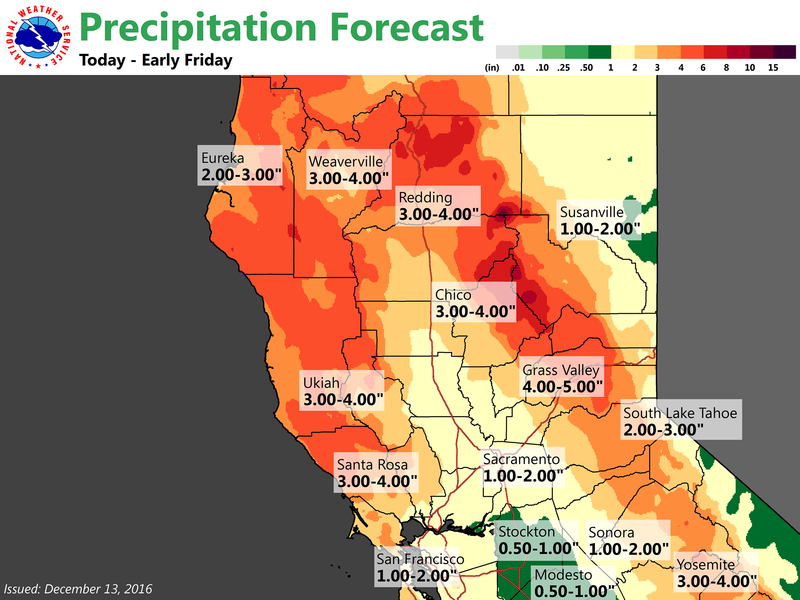 Although this new front will blow out most of our rivers for steelhead, minus perhaps the very upper reaches, there is good news. The severe storm fronts that blast the State of Jefferson bring in fresh fish from the ocean and allows fish already in the river system to get up into the tributaries and spawn safely. After five years of drought this is just what we needed. And although it’s not the best for fishing this week it may prove to make the New Year and without question years to come successful for steelhead and other anadromous friends. This is what December storms can equate to come Jan/Feb/Mar and this is what chrome looks like. Michael Mcgahan captured this amazing shot of shots last year of elated Marty Welsh and this spectacular shiny specimen. Does he look excited or what? Do you know what those marks are on the fish between the dorsal and adipose fin? So what is happening with the weather? We find ourselves explaining the situation via e-mail, text, phone and social media outlets. As much as our job requires us to be on top of the weather it’s better left up to the professionals. 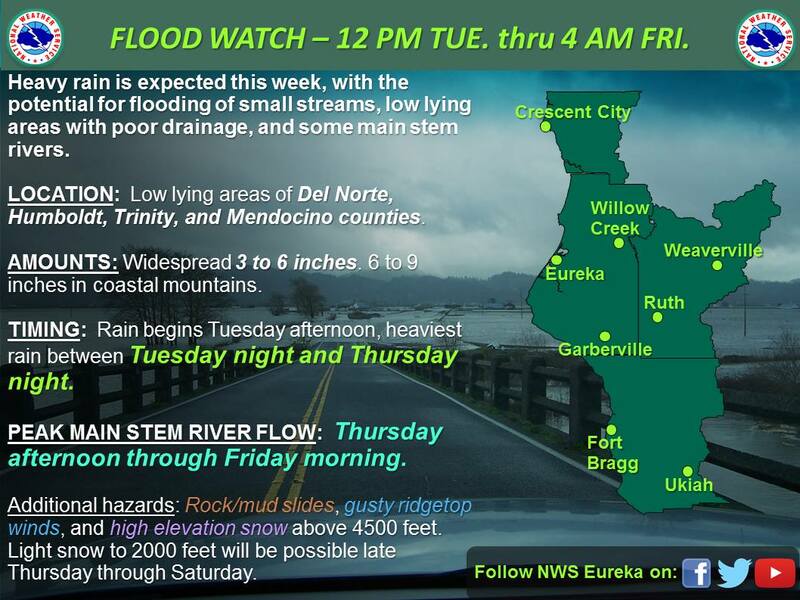 Here is a short video clip with some diagrams explaining the basics of the storm system that is slamming Nor Cal through the week and possibly into the weekend. 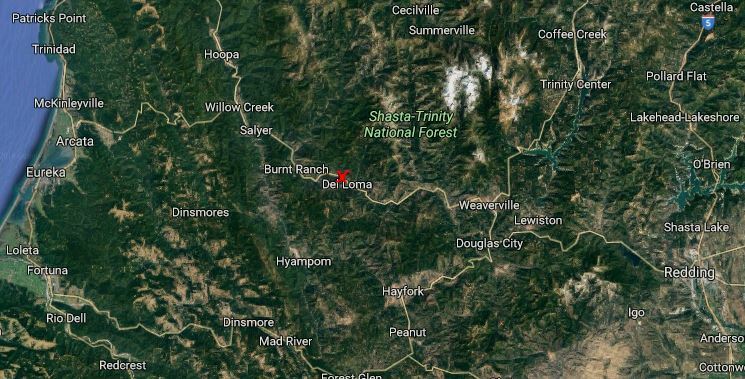 One road condition which has plagued us most of the last several weeks has been the rockslide on Hwy 299 west of Weaverville and just east of Del Loma on the Trinity River. Known as the Big French Creek slide this area is highly unstable and doesn’t look to improve anytime soon. Currently it is closed and will be at least into next week. Although one lane traffic may commence eventually, until this mountainside is stabilized it will be a reoccurring event like many slides on Hwy 299 have been in the past. Plan ahead and ensure enough time to go the long way around. Look for Hwy 299 to be closed at the area indicated on the map. Travelers are urged to take other ways around and avoid Hwy 299 until the mountainside stabilizes and debris is removed. Highway 3 is the closest detour but can be treacherous in wet and snowy conditions so plan for extra travel time. 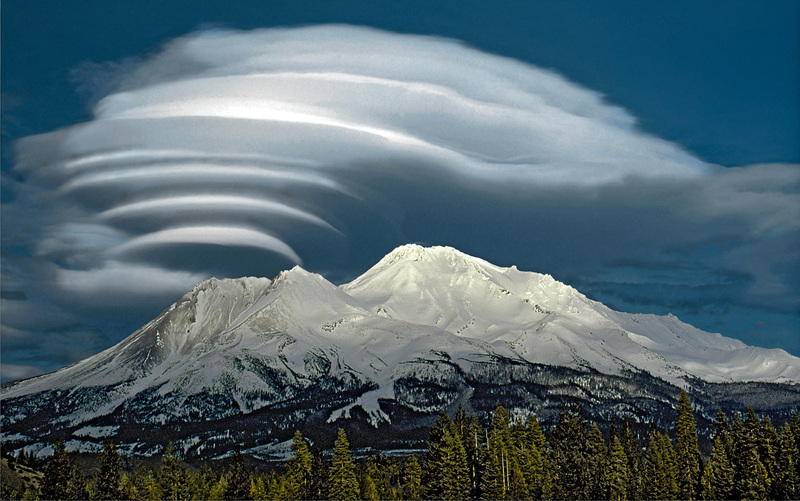 A monster of a storm is about to come out from under the bed and tackle 14,172′ Mt. Shasta. The weather service is calling for 58-80″ of snow for Mt. Shasta in the next 3 days. This year has been a banner one compared to the last five with a 176% of average precipitation to date (17.5″). Our hope is always to write more and share more photos detailing our adventures but as usual we find ourselves utterly buried in working the river and enjoying its critters. We would like to thank all the people who made this past fall season and the ones previous unforgettable. We are truly blessed and constantly amazed to be surrounded by such great people, from our families, friends, clients, anglers, fellow guides, co-workers and everybody else behind the scenes. The fishing family here in Northern California is truly special and our life would not be nearly as enjoyable as it is without the faces behind it. You make it possible and we are grateful. Sending the best wishes to all those who make the river flow. This entry was tagged California fly fishing report, fly fishing guides, Hwy 299, Northern California Fly Fishing, steelhead, Trinity River. Bookmark the permalink.